Hello m'fellow Trustinvoguers and newbies! Hope you're all doing well today. 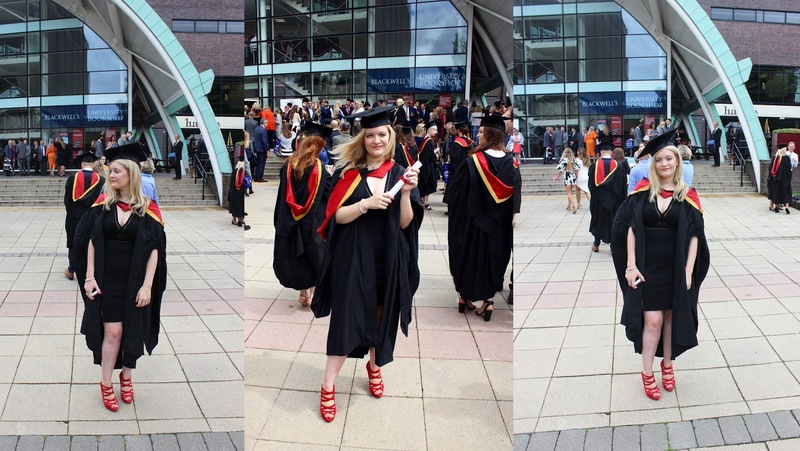 I thought I'd do a second post in a row, just to catch up a little bit on the past few days that I've had off from blogging. 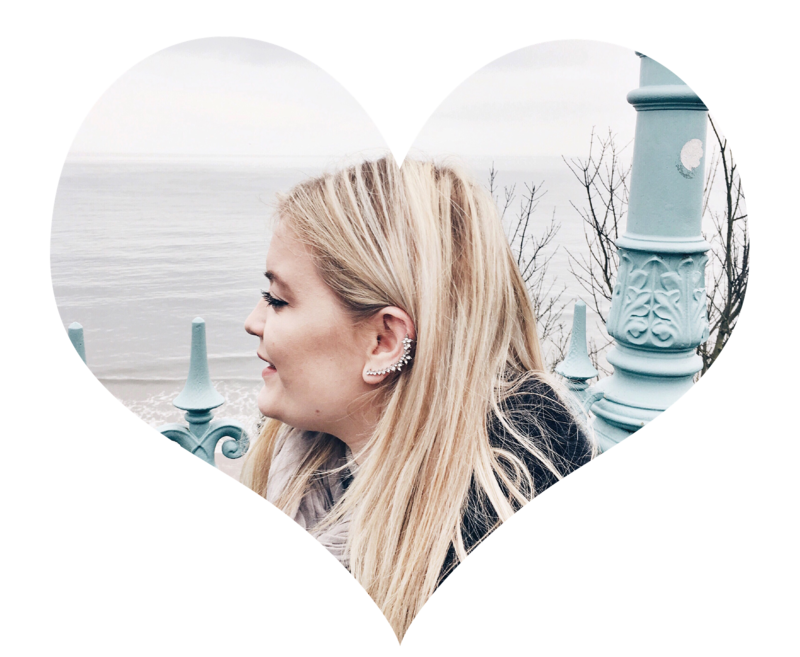 I'll be talking about my ultimate favourite go-to Summer hair products. Each one are selected around heat defense, frizz-ease, and to reduce dryness. 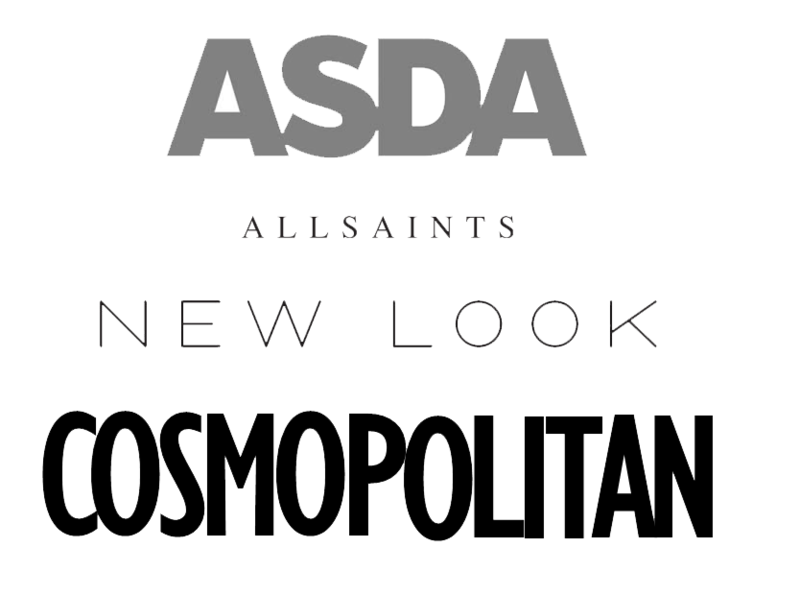 Not only that, I picked products that are centered around styling hair, as well as just ready-to-go hair. This has been by far one of my favourite heat-protect products that I've ever used, perfect for quickly spritsing on your locks before applying heat such as your straightners or heat rollers. 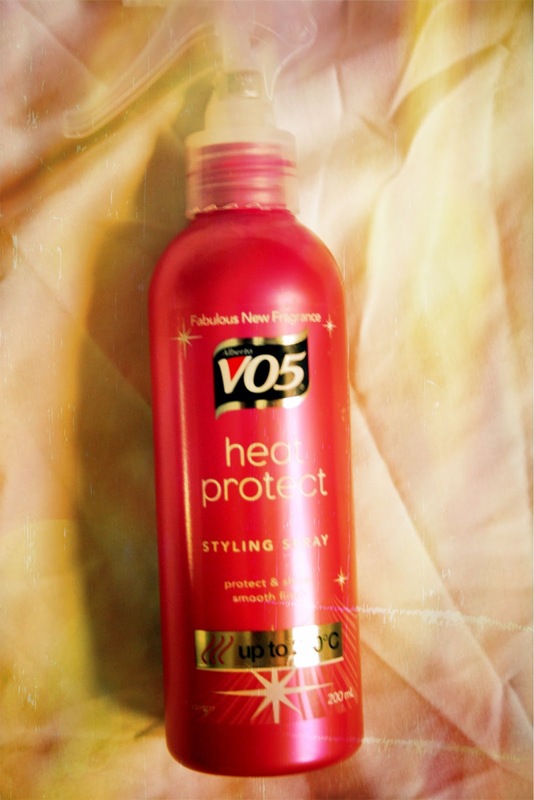 It is the 'VO5 Heat Protect Styling Spray'. What I like, is that doesn't smell chemically or anything like that, which is always nice. This is also the new design packaging, as it used to be just plain red, but i think it looks a lot more desirable in pink. I purchased the 200ml bottle from Superdrug, for just £3.69. Firstly, apologies for the slightly blurry picture. Anyway, I've featured this product in previous monthly favourites and Summer essentials. That is, the Argan Oil hair treatment. It's enriched with vitamins and natural antioxidants. Also, it doesn't make the hair look too greasy alike to other oil-based products. It's perfect for dry or damaged hair like mine, as I frequently bleach my hair to get rid of my roots, due to having blonde hair. 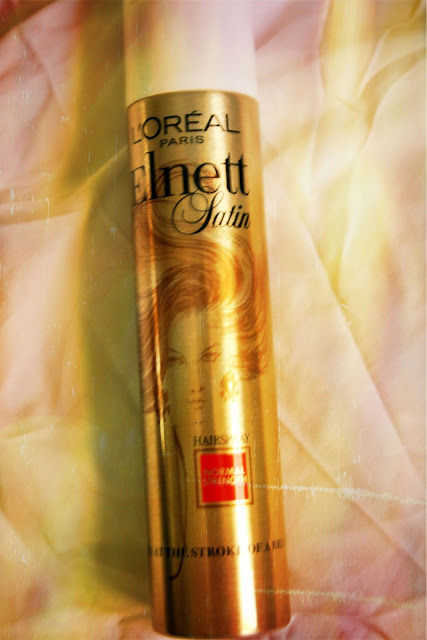 What I also like, is that this product instantly eases out frizz and leaves my hair feeling smooth, shiny and protected. 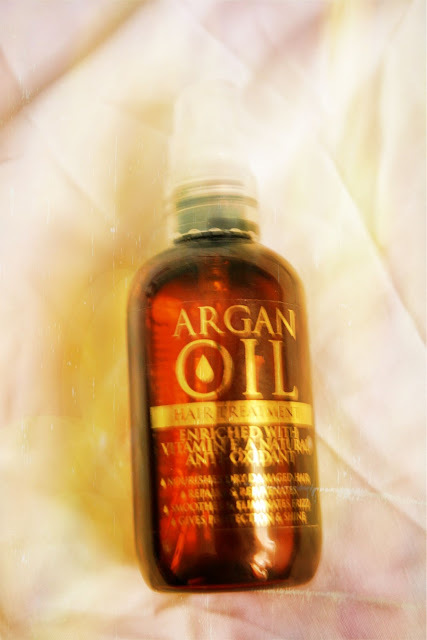 I bought this a few years ago when there was no buzz around Argan Oil, for around £10 from Superdrug. 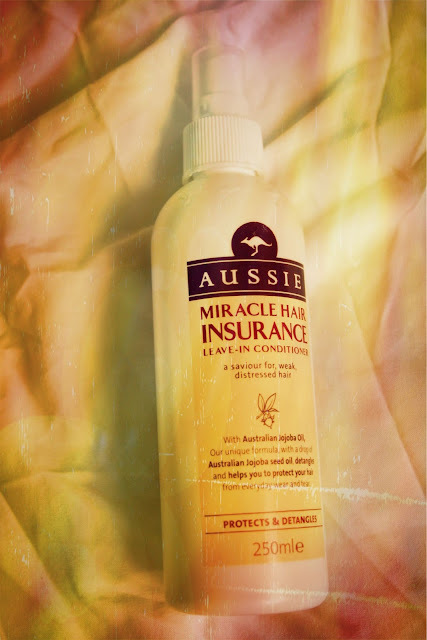 Next up, is the 'Aussie Miracle Hair Insurance Leave-In Conditioner' - few, bit of a mouthful! I've raved and raved about this product before, of course, it's Aussie! Don't get me wrong, I like the shampoo and conditioner, but for me? The leave-in conditioner comes out on top every time. As it states "Saviour for weak, distressed hair" which is an absolute plus for me, because my hair has been breaking off a lot lately. It obtains 'Australian Jojoba Oil' and other unique formula. Let me get this straight, it smells absolutely gorgeous, like, heavenly! Will definitely be re-purchasing. I just spray it on my damp hair after getting in the shower, and it instantly de-tangles my hair. I bought the 250ml bottle from Superdrug for around £4.49. Last but not least, is the L'oreal Paris Elnett Satin Hairspray. Why do products have such long names nowadays?! It lasts pratically all day long when I use it in the morning. I got this on offer from Wilkinsons £3.00. I thought I'd just get the 'normal strength' hold, as i didn't want to get a stronger one with it looking too hard and crispy if y'know what I mean? The likes of Cheryl Cole and the Kardashians have been known to use this, so if it's good for them then it's great for me! 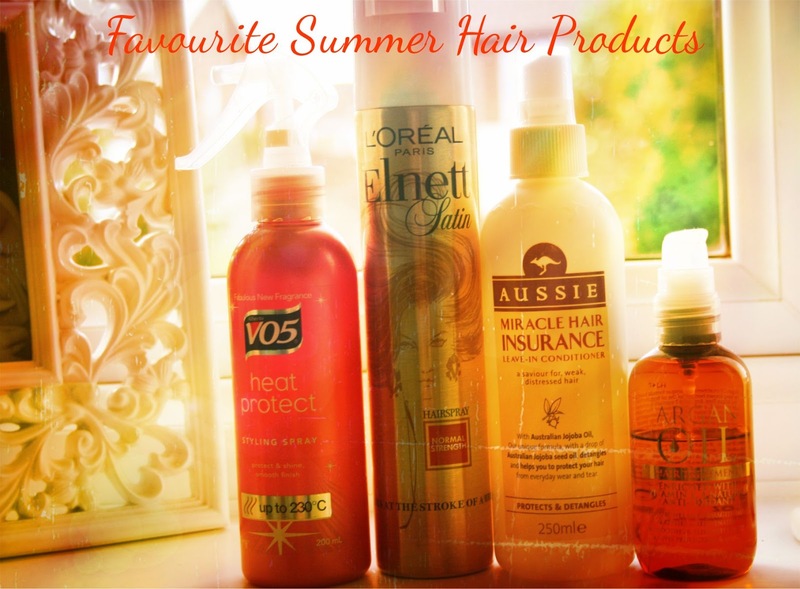 What do you think to my favourite summer hair products? i love the vo5 heat protection! I adore the Aussie stuff! So good for my hair!